My girlie turned six a few weeks ago, of course that meant a new layout! I have lots of pictures of her with her birthday cake and opening presents, but those will come later. For now it's a layout with this picture that captures here sweet personality and beautiful blue eyes. I still can't believe she's six. 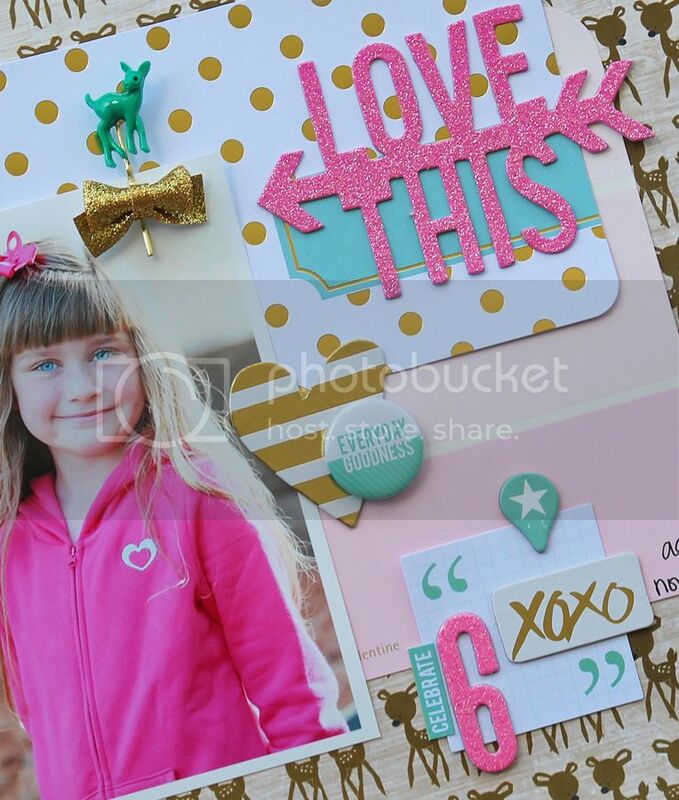 Love the cute birthday girl photo, and that deer patterned paper background paper is awesome Mary Ann! !